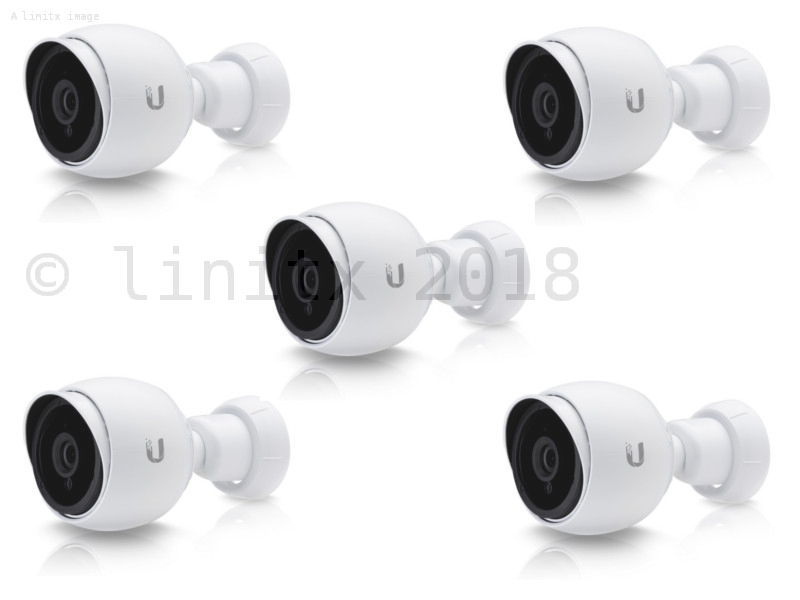 The UniFi Video G3 AF Camera 5 Pack (UVC-G3-AF-5) is a great value multipack of the popular UniFi G3 Video Camera - this is a great way to save money on larger installs requiring multiple cameras. The UniFi G3 Video Camera features a 4 Megapixel HDR sensors, offering crystal clear 1080P full HD video. They are versatile HD CCTV cameras, suitable for mounting both indoors and outdoors, they feature 3 axis adjustment with their flexible ball joint mounting points. 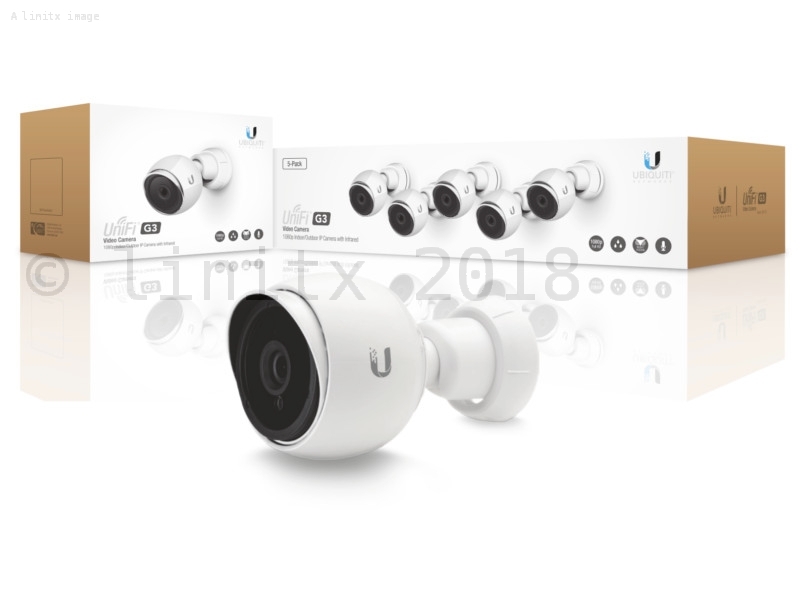 The UniFi Video Camera G3 integrates infrared LEDs with an automatic IR cut filter for surveillance during the day and night, without losing definition or quality. 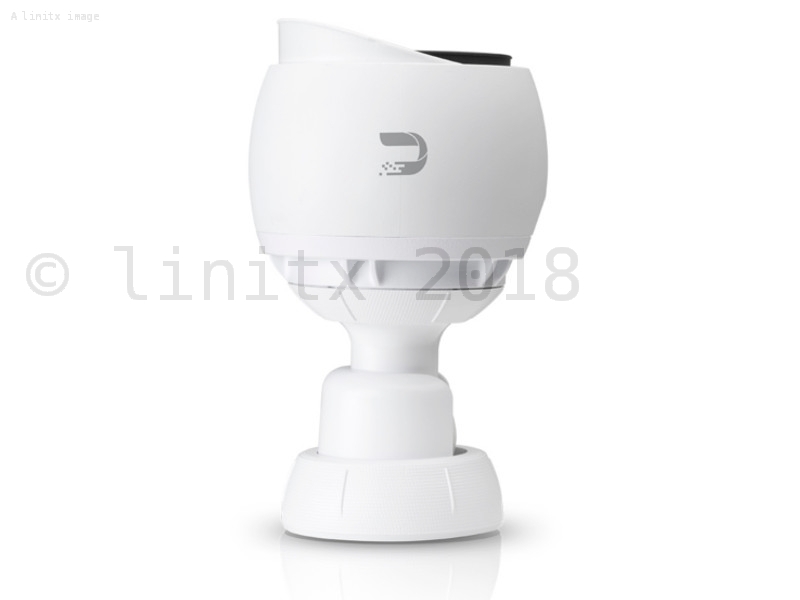 LinITX also stock this amazing camera in a single pack for smaller installs: Ubiquiti UniFi Video Camera G3 UVC-G3-AF. The UniFi Video G3 AF 5 Pack is a direct replacement for the discontinued UniFi Video Camera G3 5 Pack (UVC-G3-5).